One of the Best Books of 2016--NPR, the Washington Post, The Wall Street Journal, the Boston Globe, Elle, Thrillist, Publishers Weekly, Time Out New York, Self and Kirkus The audacious new novel about family and ambition from "one of the best living mystery writers" (Grantland) and bestselling, award-winning author of The Fever, Megan Abbott. How far will you go to achieve a dream? That's the question a celebrated coach poses to Katie and Eric Knox after he sees their daughter Devon, a gymnastics prodigy and Olympic hopeful, compete. For the Knoxes there are no limits--until a violent death rocks their close-knit gymnastics community and everything they have worked so hard for is suddenly at risk. As rumors swirl among the other parents, Katie tries frantically to hold her family together while also finding herself irresistibly drawn to the crime itself. What she uncovers--about her daughter's fears, her own marriage, and herself--forces Katie to consider whether there's any price she isn't willing to pay to achieve Devon's dream. 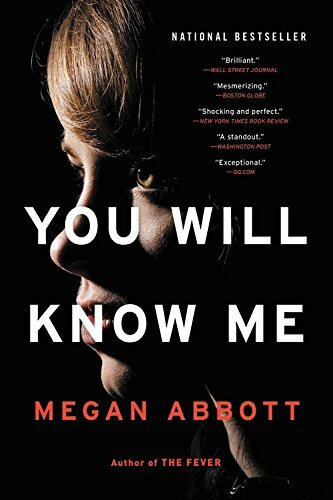 From a writer with "exceptional gifts for making nerves jangle and skin crawl" (Janet Maslin), You Will Know Me is a breathless rollercoaster of a novel about the desperate limits of parental sacrifice, furtive desire, and the staggering force of ambition.